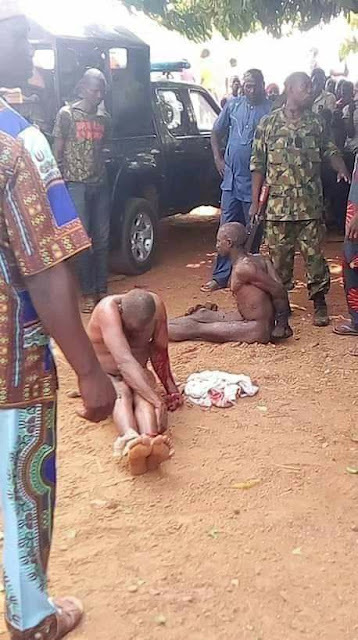 Two suspected hoodlums were severely dealt with after being apprehended by soldiers in Nasarawa. 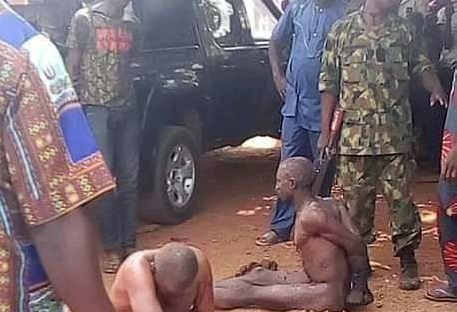 According to reports, the suspects were said to have been terrorizing a community in Nasarawa/Toto Local Government Area of the state, before they capture by the military men. The men were first stripped unclad and beaten to pulp by the soldiers who paraded them in public. The suspects were later handed over to the police for further investigation and prosecution.